Notes: AKA Strand - Capacity was over 800 on main floor, over 700 in balcony. Barbara Allen Robinson: Upo further inspection I realize they are not statues they are busts and they are still there on the recent pics they are next to the windows. Not sure what if anything was in the alcoves, unable to discern from any of the older pics but they shure do look naked in the recent pic. Barbara Allen Robinson you may be right about all four daughters being on the front of the building. If you look at the close ups of the theater with the newer marquee on top of the marquee you can see the top of a statue, as well s one of the cameos at the top of the building. In other pictures you can see both cameos at the top of the building, and in the recent pic there are two alcoves visible lower down, one of these alcoves was probably were the statue seen in the other photo sat prior to the 1941 remodel. So this tells us since there are two alcoves that there were two statues. So all four daughters were depicted on the front of the building, one of them being your mother. The question is what happen to these statues and why did they not put them back in their original homes? 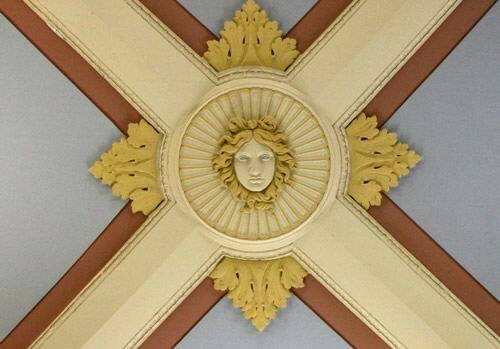 Someone should contact the firm that restored the building and see if they can find out. I am looking for anybody that might have any vintage photos of the interior of the strand bowling alley 219 s. washington lansing michigan. Also looking for any vintage memoralbilia from the strand bowling alley. Thanks e-mail or call thespazz58@gmail. com - 317-359-9605. I am Walter Scott Butterfield's granddaughter, the only direct line here in the state of Michigan. I've always been told that the pictures of the 2 girls on the facade are 2 of his 4 daughters. My mother was the oldest of the 4 girls. I had originally thought that all 4 girls were on the facade, but I do see only two. There was quite a fight a few years back attempting to save the theatre so it was really a compromise to be able to save the facade. I think we had hoped to keep the theatre like the one in Ann Arbor. Not enough clout. 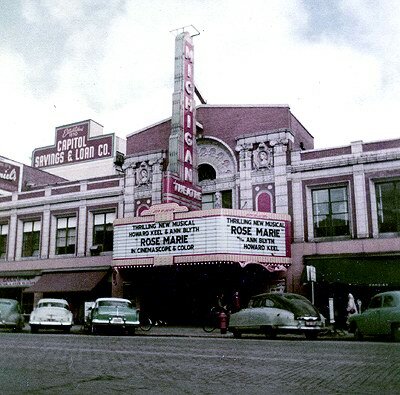 Here in Grand Rapids we saved the Majestic and it's a successful restoration owned by our local Civic Theatre. The Wealthy theatre which was a Butterfield and Johnson property is now restored and is being used in many interesting ways. 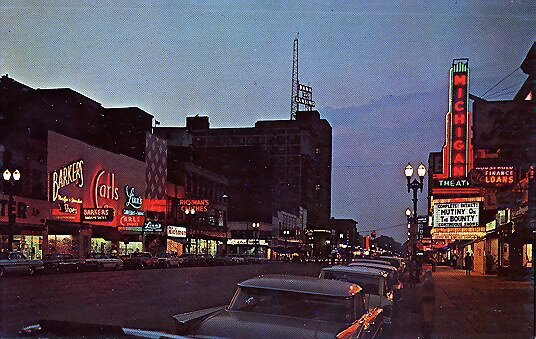 The picture described here as a 1965 photo is actually from mid-1971; the films listed on the Michigan marquee -- WATERLOO, and the coming attraction, PLAZA SUITE -- played at the theater in 1971. 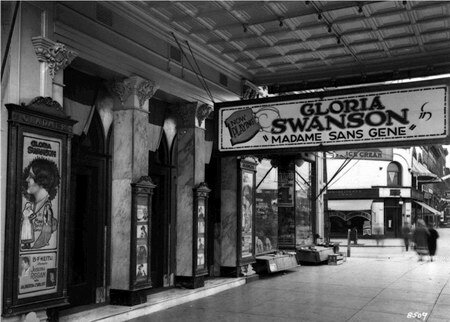 On April 21 1921, this building opened as the Strand Theater and Arcade. 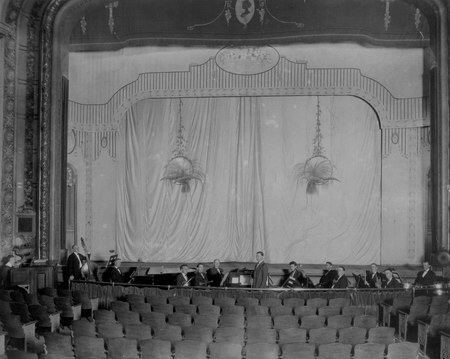 The 2000-seat theater boasted one of the largest vaudeville stages in the state and a screen for viewing motion pictures. 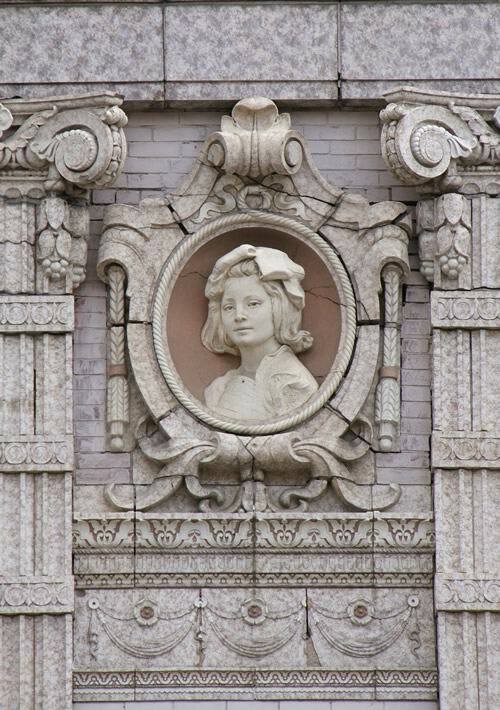 The building was the pride of theater mogul Walter J. Butterfield and on of 300 theaters created by Chicago architect John Eberson, who designed the interior in a French theme with a blue sky and filmy clouds painted on the ceiling. 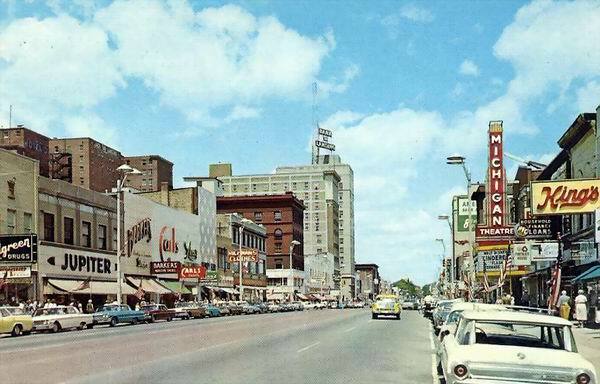 The arcade's office suites, bowling alleys, ballroom and 14 stores, including the Cinderella Tea Shop and the Palace of Sweets Candy Shop made the arcade one of Lansing's most distinctive commercial spaces. 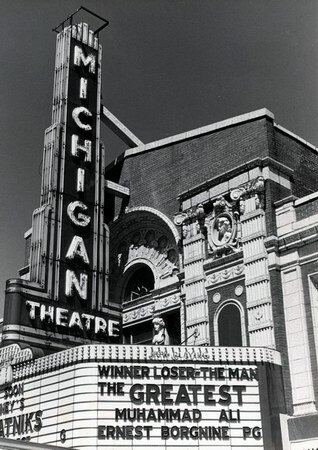 In 1941 the theater was renovated and renamed the Michigan. It closed in 1980. 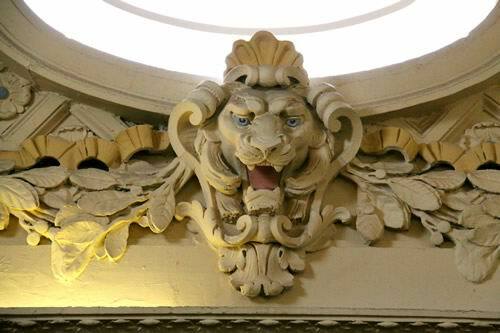 Designed by John Eberson in 1920, the Strand, with its highly ornate terra cotta facade, was originally a vaudeville house, but later started to screen movies as well, eventually switching to just movies. 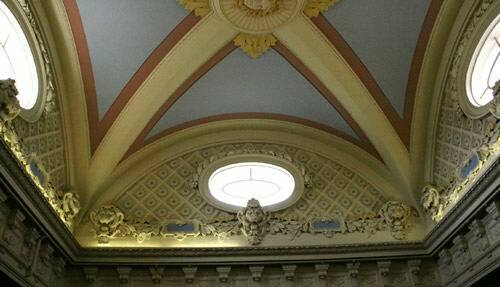 Like most of Ebersons theaters, its auditorium was decorated in atomospheric style, with neoclassical touches. 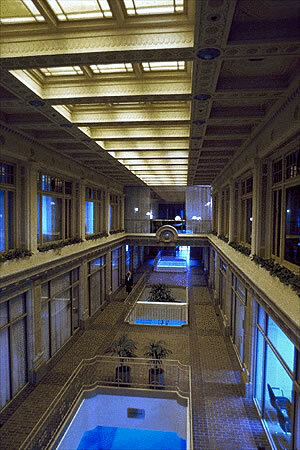 After closing as a movie house in the 70s, the Strand sat vacant and decrepit until 1984, when it was brilliantly transformed into a mixed-use office and retail center by the firm of Hobbs and Black & Associates. 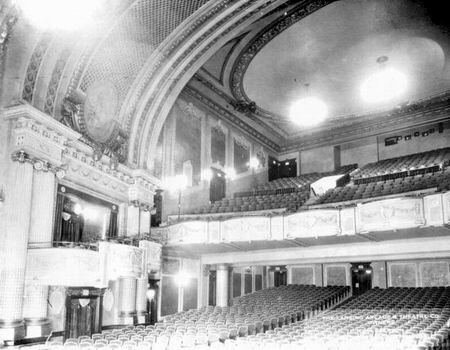 Although the auditorium could not be saved, its grand lobby, ballroom and storefront areas were transformed to their 20s grandeur. 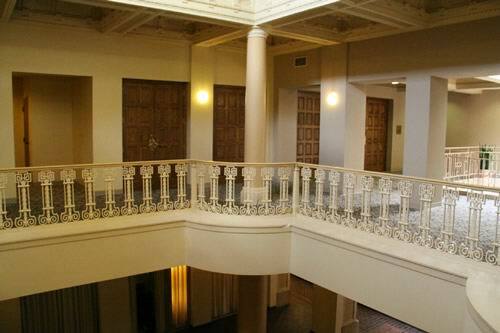 The focal point of the office foyer space is now the large marble staircase. 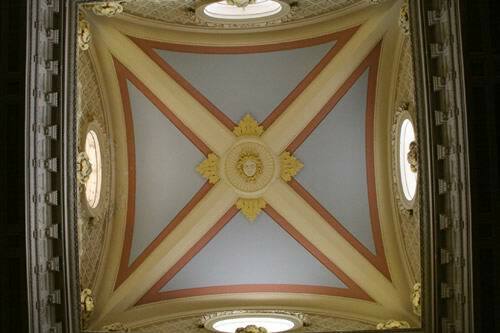 The facade was also repaired after damage inflicted on it during a modernization years before. Limestone of the same shade as the original terra cotta was used to replace sections of the original terra cotta that were lost. Cinema Treasures Link. 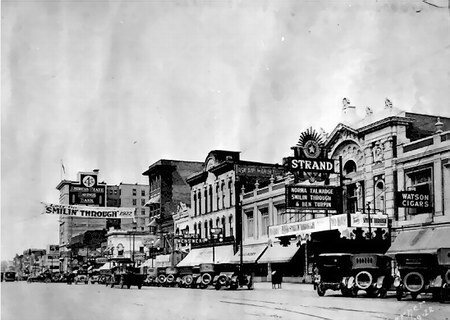 The Strand Theater began as the project of Walter S. Butterfield who wanted to build one of the finest theaters in Michigan. Ground was broke in March of 1920 and the building was completed in April of 1921. The theater had a seating capacity of 1,786 patrons. 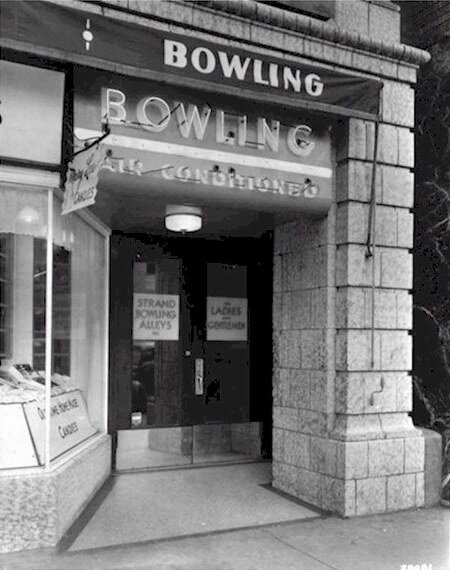 The site also housed a bowling alley, a billiard room and a banquet hall. 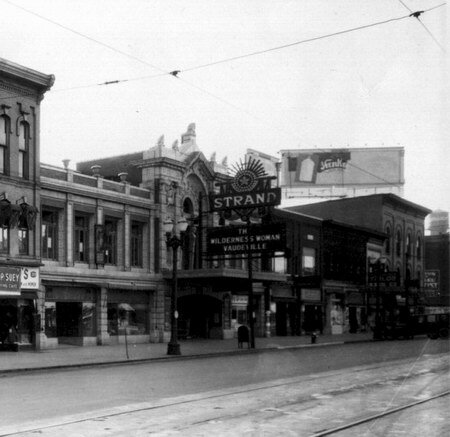 The Strand Theater and Arcade was located at 215 S. Washington Avenue and became an immediate hit with the people of Lansing. The popularity of vaudeville was waning and the decision was made to phase out vaudeville in favor of the new media movies. 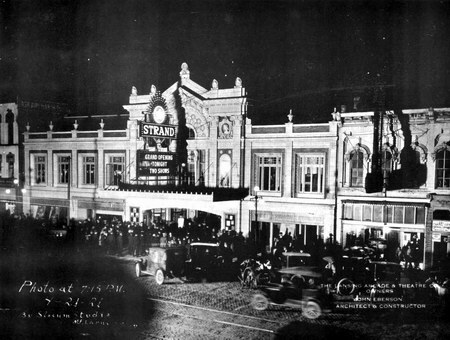 The Strand Theater remained popular with movie going patrons. 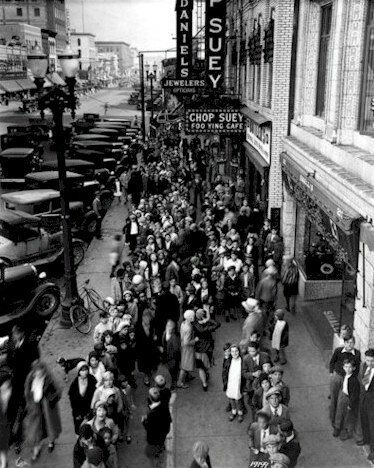 The building was beginning to display its age and in 1941 the theater was remodeled in an Art Deco style. 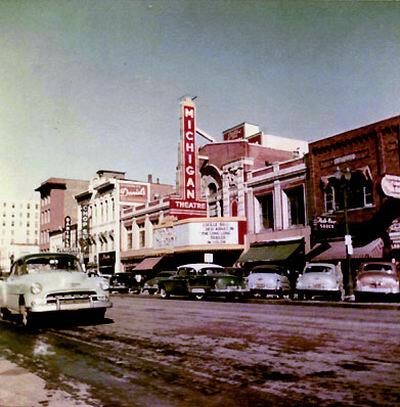 The old marquee was replaced with a new one introducing the Michigan Theater. 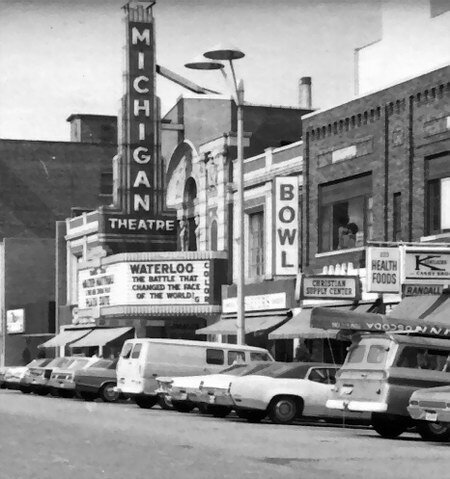 The Michigan Theater was a mainstay of the downtown community for years, but like all urban theaters it began to succumb to the pressure brought by drive-ins and mega-plex movie theaters. The end had come, in a way, for this theater. Fortunately it did not become just another abandon lot. 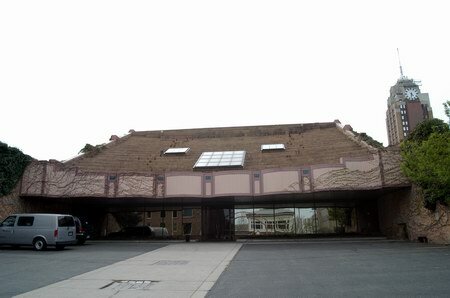 Part of the building was converted into office space and the rest, yes, a parking lot. 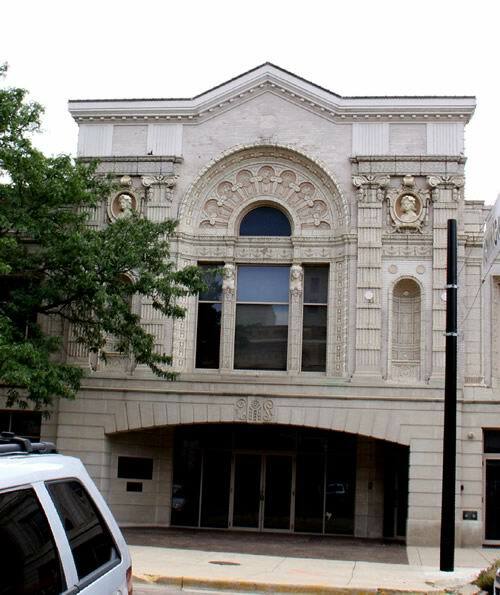 The Michigan Theater and Arcade is a large commercial structure containing the Michigan Theater and a two-story arcade. 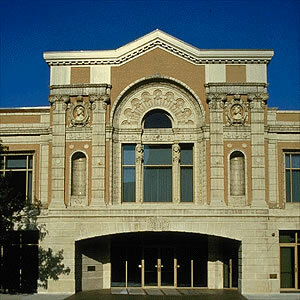 The theater was designed by John Eberson in a Renaissance Classical style labeled by the architect as French or Gallic. 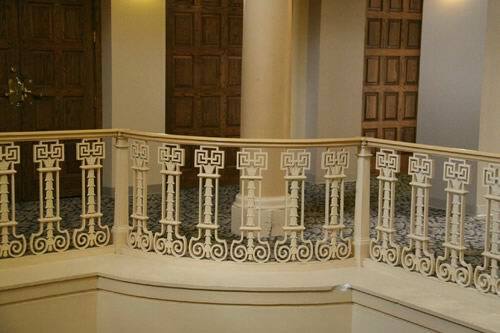 In 1941 the structure was extensively remodeled; it is now a pleasant mixture of classical and Art Deco elements. The structures front facade is two stories high-- except for a three-story, gabled, central block over the main entrance-- and is constructed of red brick and decorated with terra cotta pilasters and other trimmings. 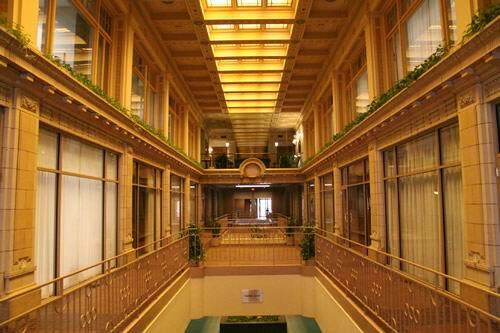 The Michigan Theater and Arcade was built in 1920 and 1921 as the Strand Theater and Arcade Building. 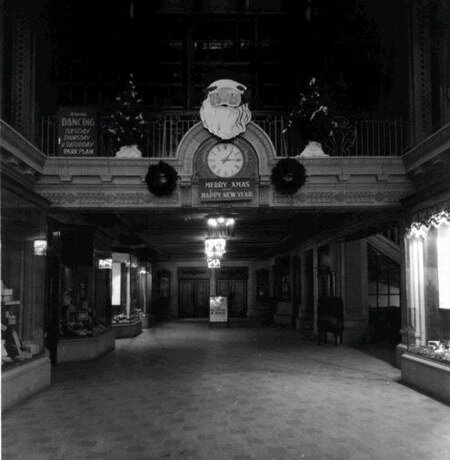 A commercial and entertainment center-- originally containing a theater, ballroom, bowling alley, and stores grouped around an arcade-- it was constructed for Walter Scott Butterfield, a Michigan theater entrepreneur and vaudeville pioneer. The theaters architect was John Eberson, one of the most talented and well known American theater architects during the golden age of theater design in the early twentieth century. 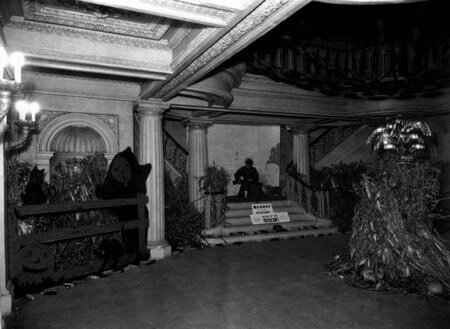 In architectural terms, the Michigan Theater and Arcade is significant not only for its lavish, original, French Renaissance-Classical detailing-- still intact in many parts of the structure-- but also for its fine Art Deco auditorium and lobbies, the result of a 1941 remodeling directed by John and Drew Eberson.